Automation is taking the marketing and wider business world by storm, thanks to a new breed of mature algorithmic technology that’s available for everyone to use. Now, brands of all sizes can create their own automated processes to transform their business into a more productive, efficient and – above all – profitable enterprise. In this article we’re going to run through the five key steps to transforming your business with automation – so you can make 2018 the year you turn this technology into end-of-year reports worth celebrating. If this sounds obvious or simple, think again. Choosing the right tasks to automate is absolutely crucial and this is where most businesses get off to a false start with automation – so don’t make the same mistake. First, you need to understand how automation works and what it’s truly capable of because the majority of tasks you can automate, you probably shouldn’t. There are tonnes of tools for automating translation, web design, content writing and everything else you could do as a marketer or business owner – but most of them fall way short of the mark. Translation technology, for example, is basically useless for most business purposes and it’s difficult to know whether the technology will ever be able to replicate the complex cognitive processes human translators are capable of. So what kind of tasks should you be automating? What you don’t want to try and automate are tasks that require creative thinking and a lot of human input – ie: content creation, design processes or problem solving. 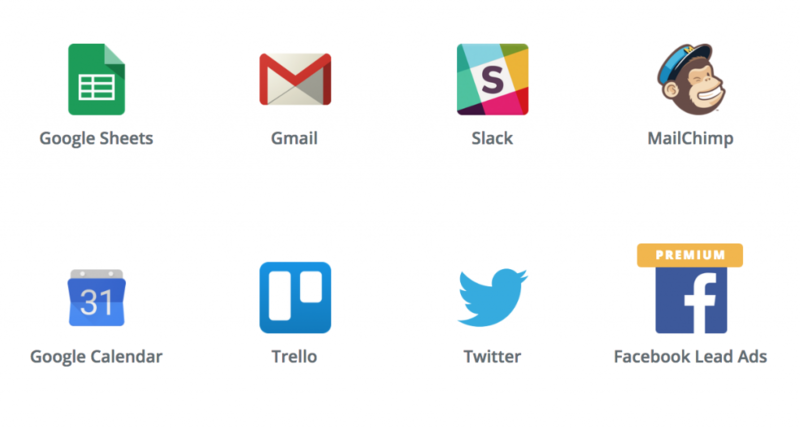 Start simple by connecting platforms together with tools like Zapier and IFTTT and aim to take out as many repetitive tasks out of your workflow as possible. For example, do you really need to import spreadsheets between Excel and Google Sheets six times a day when you could automate this process? For an all-in-one marketing and sales automation tool, ActiveCampaign is the place to start transforming your business. Bring your marketing and sales teams together, cut out repetitive tasks and manage your customers as they navigate their way through different stages of the buying process. 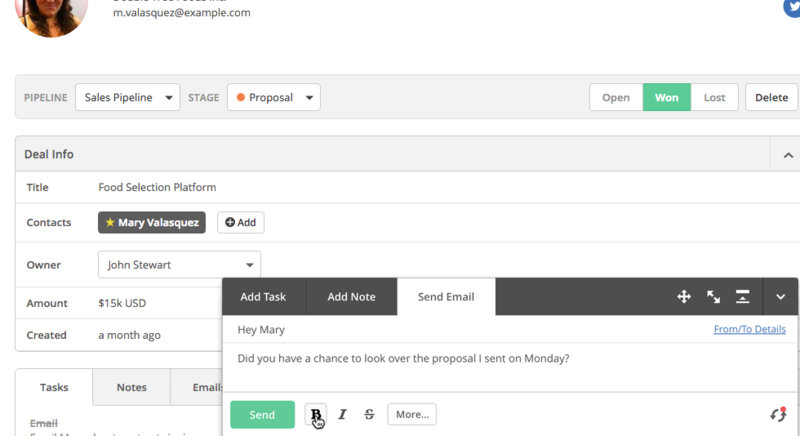 Aside from removing friction and boosting conversion rates, Leadformly‘s multistep forms allow you to score your leads based on the info they provide and then automate your follow-up messages. This has allowed us to create fully automated marketing strategies – such as our webinar and proposals automation – that generate and close leads without any input from us at all. Social media posting is one of the first marketing tasks you should automate and the only two tools we need are Edgar and Buffer to manage most of our social media activity. We’re not suggesting you automate everything – for example, one-to-one interactions – but tasks like publishing posts, scheduling and reposting should all be automated. Finding great staff is always a challenge but Breezy will help you organise and manage candidates for all positions, across different stages of the interview process – much in the same way sales automation tools work. Zapier is a simple but wonderful (aka: simply wonderful) automation tool that creates mini automations between your favourite business tools. You can automate Google Calendar entries from Trello cards, add or update ActiveCampaigns contacts from Facebook and MailChimp leads and create all kinds of time-saving automation. It’s no good spending money on automation tools and investing time in creating new workflows if they don’t make your business more profitable. So before you put any workflows in place, make sure you set specific targets that you can use to gauge success and refine your processes. In some cases, your goal might be to simpy match the performance of your team and then use that time elsewhere. For example, you may automate your social posts so that blog articles are automatically published on Twitter three times per day for a week. If your team is already doing this, automating this workflow isn’t going to improve results, it’s simply going to free up time that you can spend on other things. The question is: what are you going to do with this time that adds value to your business? The goal of this automation is to allow you to do something else – so what is it? Define your goal and make sure it’s measurable so you can see the impact of even minor automations like these (they all add up). For other workflows, setting goals will happen naturally. For example, when you’re creating an automated lead generation process, you’ll set a target number of leads and other KPIs while your sales automation will set targets for closing more leads and retaining more customers. Be specific, set targets for each quarter and use these as a benchmark to gauge success. Without setting targets and choosing the right KPIs, you’ll struggle to measure how much of a positive impact automation is having on your business. More importantly, you won’t be able to pinpoint opportunities to refine your automations and improve results. When automation allows you to multiply tasks almost infinitely, a simple tweak to your workflow can add thousands or even hundreds of thousands to your profit margins. Our automated webinar strategy increased leads by more than 300% in less than a year because we set our targets, measures results and optimised our processes. That’s just one marketing automation strategy that’s made a serious impact to our business and we know we’re getting close to the best results we possibly can from it. Without tracking results and refining our workflow, we’d have no idea how much more this strategy could be adding to our annual profit margins. Once you get to grips with automation, you’ll realise it’s a state of mind as much as a technology. You’ll look at everything and think can we automate that? and you’ll look at every existing automation you’re running and think how can we improve that? This is the kind of automation culture you want to build in your workplace, across your entire team. This mindset is all about efficiency, making the most of your resources and maximising results with what you have – everything you want your team to be thinking about when they’re completing tasks. You want your team members to recognise when they’re repeating the same tasks over and again, tasks that could be automated and free up more time for ones that can’t. This kind of mindset doesn’t come automatically (how ironic) so make this a constant presence in the workplace and reward your team for turning automation into better results. As mentioned earlier, the key to automation is to start small and build your workflows over time. Implement your first processes, track results and refine your worklows for better performance before you start adding too many (or more complex) automations into the mix. This way, the learning curve is a lot more gradual and also faster to come to terms with. Before you know it, you’ll be publishing your own blog posts bragging about how high your conversion rates are thanks to your latest automations.